You don't have to be staying with us to come and enjoy the Dinner Dances that we host here at the Langstone Cliff Hotel. Tickets are available for non residents to come and spend the evening with us for all of our upcoming events. 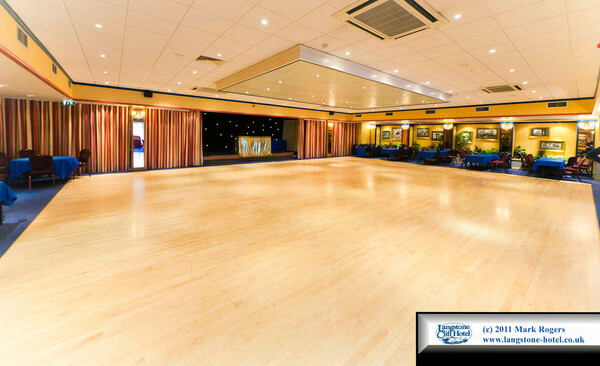 We offer a selection of dance holidays by a variety of organisers held at the Langstone Cliff Hotel. The holidays feature the use of the air conditioned Washington ballroom with its large sprung, strip maple dance floor or the recently extended Lincoln Ballroom. At Langstone Cliff, we’re always striving to give our guests the best Devon hotel deals and breaks throughout the year. From cheaper accommodation to free nights, you name it we’ll do our very best to offer it. Based in Dawlish Warren near the Exe Estuary we’re lucky enough to have things going on around us all year long, this meaning a stay at any time of the year is always worthwhile. From our various events in South Devon to spending Christmas in Devon there’s never a dull moment when you can’t get the most out of your stay. To enquire about one of our offers, feel free to call us on 01626 221329 or email us.